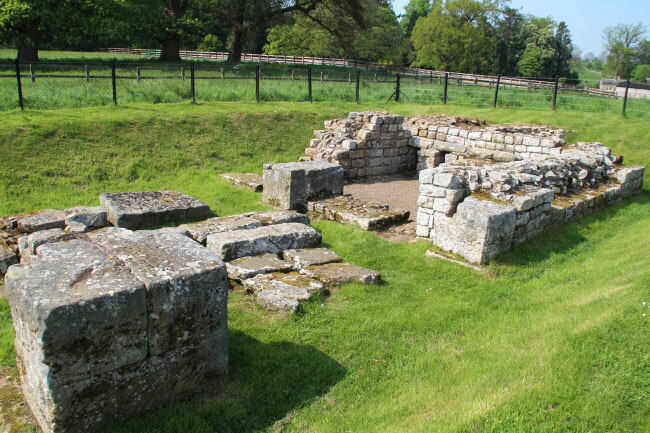 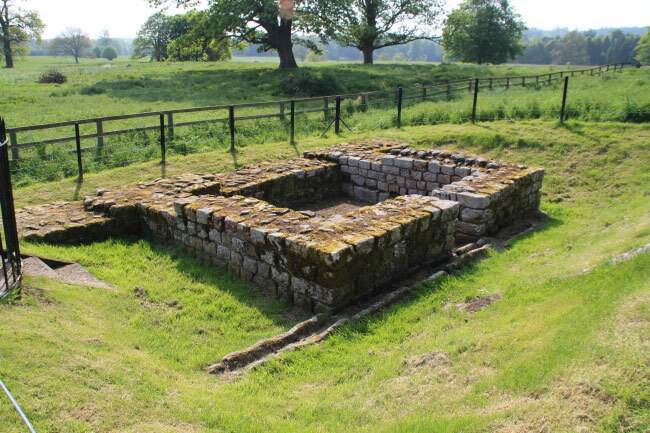 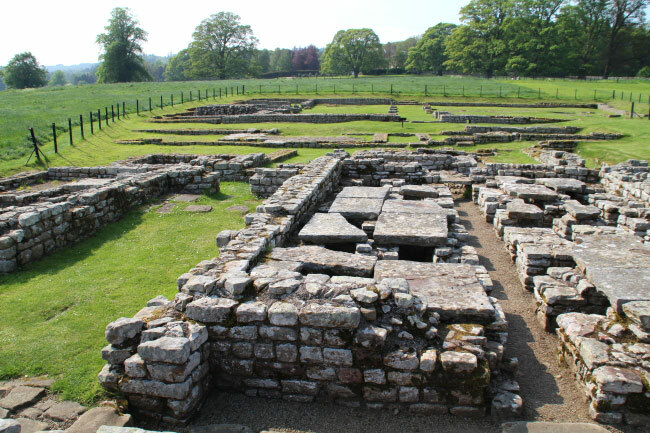 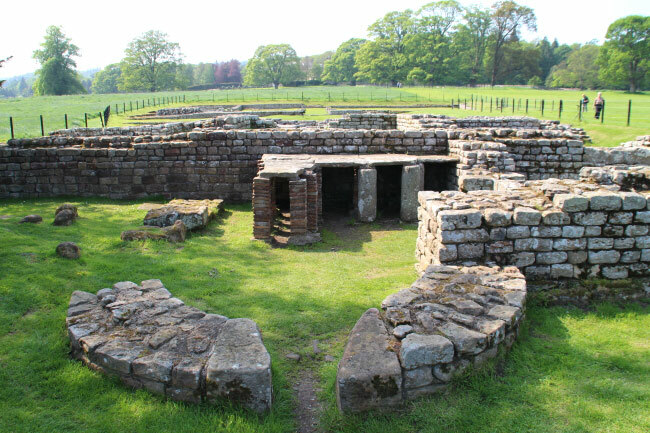 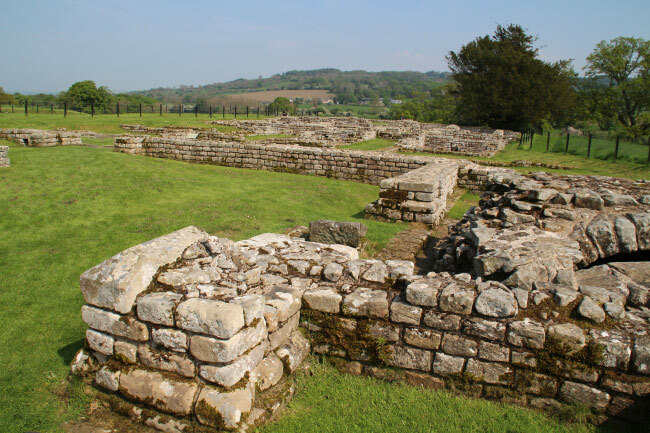 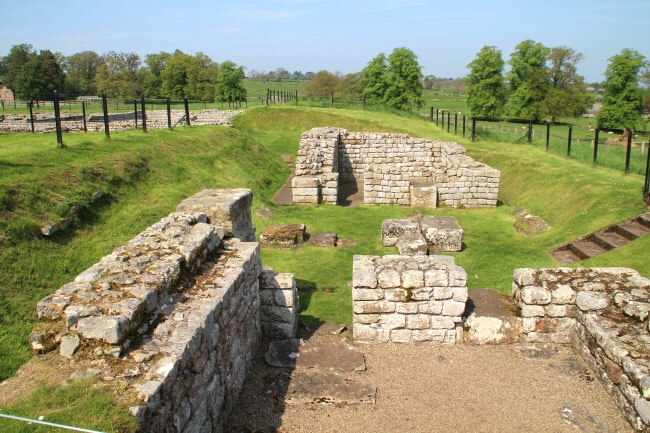 The Roman Fort of Cilurnum lay astride Hadrian's Wall, although the wall is no longer visible. 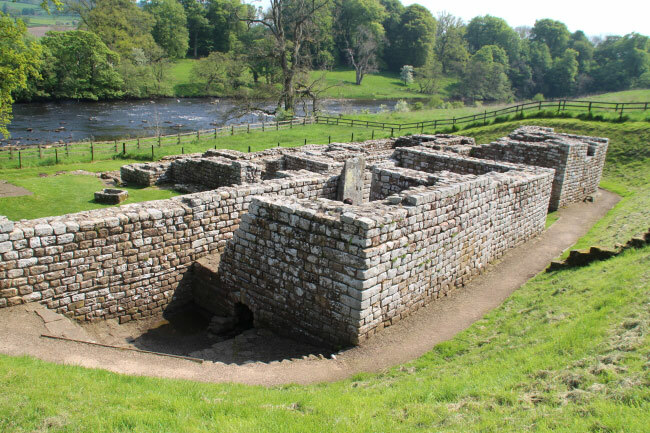 It was a cavalry fort built in AD128 to protect the crossing over the bridge across the North Tyne river. 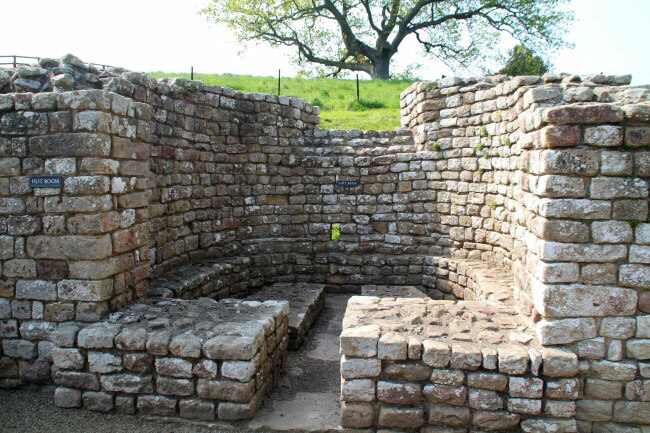 The bridge would have been constructed of wood, but the abutment at the edge of the river which is still visible was made of stone. 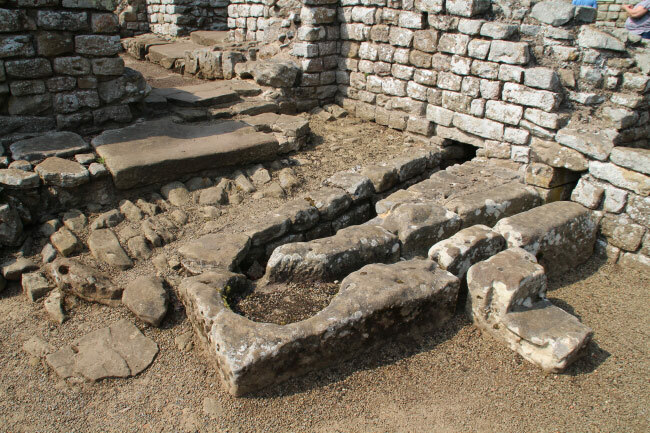 By the river are the remains of the Roman Baths (see lower photos). 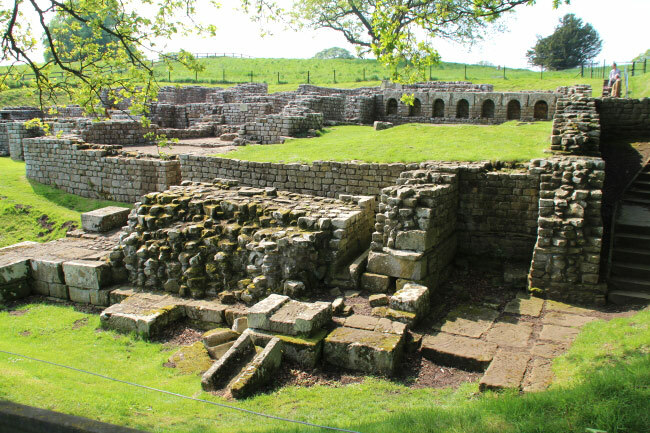 These are one of the best preserved in Britain. 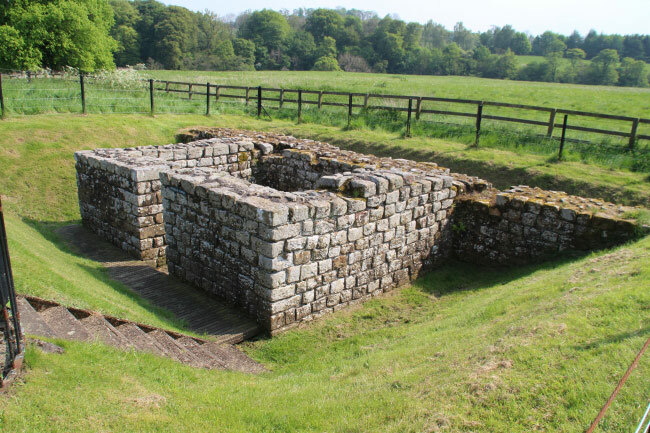 The fort is now managed by English Heritage.